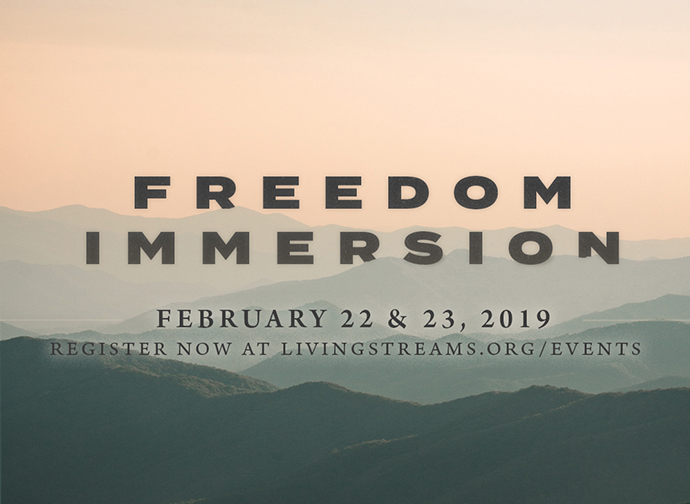 Freedom Immersion is two days dedicated to setting God's people on a course of restoration and wholeness. Experiencing and living in the fullness of salvation is your inheritance. Get free from patterns of thinking and living that steal the abundant life Jesus promises! A combination of teaching, prayer, and personal ministry are what you can expect.